On Tuesday, 08/08/2017, at 6:00 pm the Law Enforcement Assistance Partnership (LEAP) will award college scholarships to the children of several Franklin Police Officers. 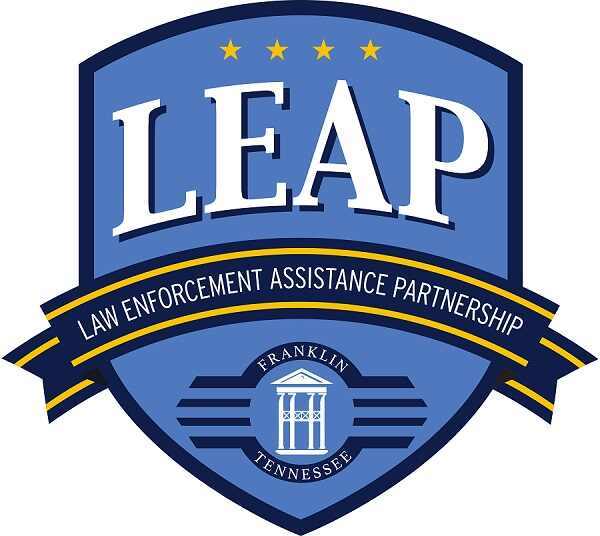 LEAP is a volunteer-run, nonprofit organization made up of graduates of the Franklin Police Department’s Citizen Academy, each of whom remains steadfast in their dedication to supporting Franklin Police Officers. LEAP welcomes FPD Citizens’ Police Academy alumni, and other members of the Franklin community, wishing to show their continued support of Franklin Police Officers to attend this one-hour event at Franklin Police Headquarters, tomorrow.